Founded in the mid-1950s by immigrants who were drawn to the Israeli national project but wanted to pray as Catholics, a small community of Hebrew-speaking Catholics gathers in Israel for worship in seven cities around the country. This community’s context and purpose differ to some degree from the larger, long-established Arab Catholic community, though these communities are linked and in some cities pray together regularly. Hebrew-speaking Catholics meet in seven cities — Jerusalem, Tel Aviv, Jaffa, Haifa, Beer Sheba, Tiberias and Nazareth. In Hebrew, each refers to itself as a kehilla (pl. kehillot), a fellowship community or a congregation called together with a purpose. That Hebrew designation is one of many ways that the community has come to think and talk about its identity in terms that bridge Catholic and Jewish understandings. Some of the early members are said to have been in Israel primarily because they wanted a good and safe place to live for themselves or their spouse and children, but a significant number of the early members saw a definite theological mission in regard to their presence and work. They were deliberate in wanting to build a community of people to witness to a kind of Christian life that rejected the logic of anti-Semitism, and to form a local church within the new Jewish state, embedded in Jewish culture. Some — mostly clergy — even hoped that a distinctive church with its own liturgy — comparable to the Greek Melkite or Maronite churches — would develop. In the mid-1950s, the Vatican encouraged the development of the community by stages and approved it on an “experimental” basis in 1955. In the same year, long before Vatican II allowed Mass in the vernacular elsewhere, the community was able to celebrate Mass in Hebrew. The process of developing into a Hebrew-speaking community took time. Jews came to Israel as speakers of Yiddish and/or the dominant language of their country, if they were from Europe, or perhaps, for those from the southern Mediterranean, Arabic or Ladino. Very few people knew Hebrew as a living language. The revival of Hebrew was a major Israeli cultural project. The Catholic community, whose founders were mostly French and whose members were largely eastern European, similarly had to learn modern Hebrew. The Catholic community in Israel had the additional task of needing to translate New Testament scriptures and liturgical and other prayers into modern Hebrew. Each of the seven cities where the kehillot gather provides a different context for the kehilla that gathers there. 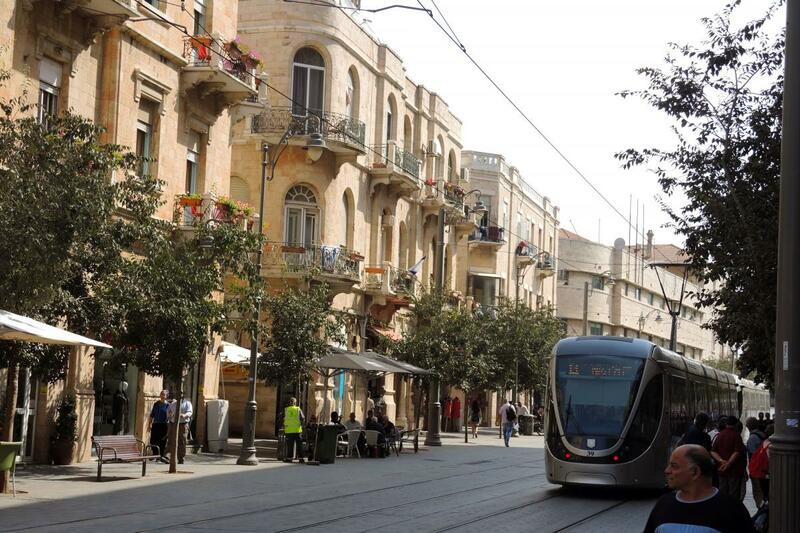 Tel Aviv-Jaffa, Haifa and Beer Sheba are highly secular cities. In Tel Aviv, Sabbath is recognized in limited ways, but it is still easy to find businesses and restaurants open. Seasonal observance of Jewish feasts is an important part of life, even as many (perhaps most) households and restaurants do not observe kosher dietary laws. In these cities, Judaism is influential as a source of culture and identity, but religious practice is limited. Built up after the founding of Israel, Tel Aviv is a very contemporary, energetic, and business- and technology-oriented city, with an active nightlife (even on the Sabbath) and miles of beaches. On the streets a person is far more likely see casual beach dress or hipster styles than Orthodox Jewish garb, though on Friday morning Orthodox Jewish men could be found on the streets at tables set up in hopes of teaching more secular Jews how to be properly observant. Tel Aviv is home to the Catholic migrant and refugee center but does not have a building for the Hebrew-speaking Catholic community. That community worships in Jaffa, immediately to the south of Tel Aviv. 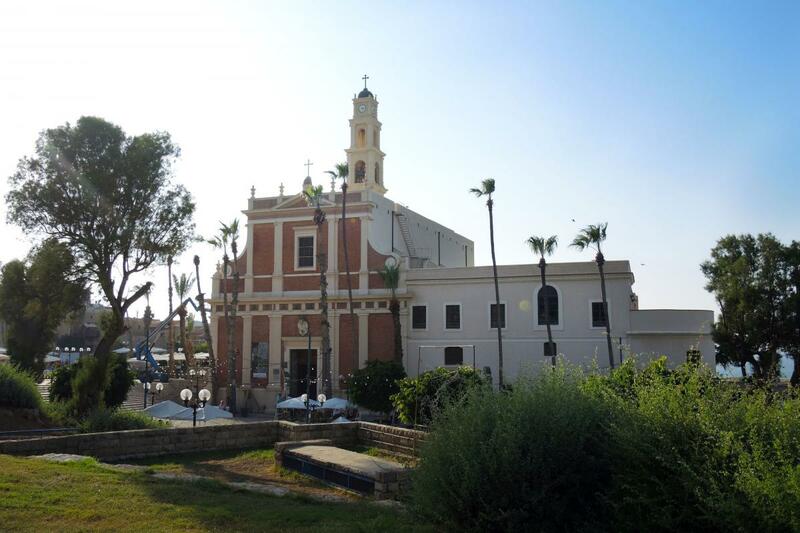 This older, biblical-era city has a large, traditional, colonial-era Franciscan church on the hill. 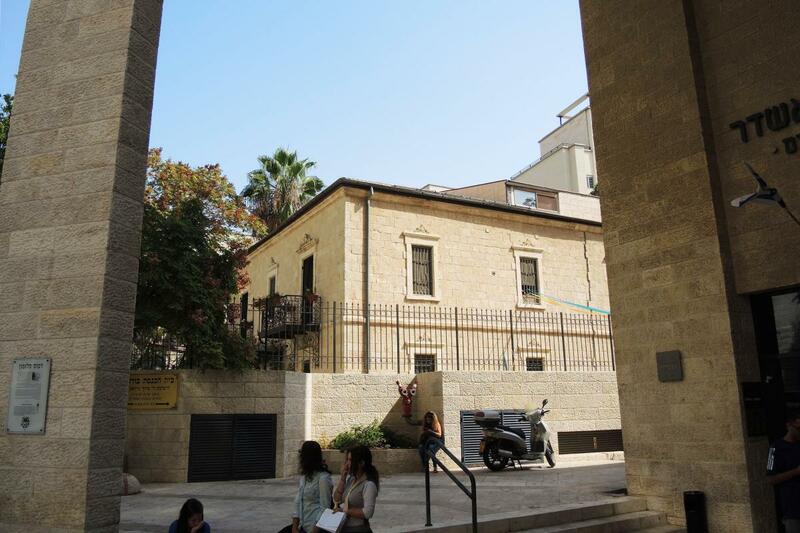 Catholic young people interviewed in Tel Aviv-Jaffa said that while they have religious and cultural education in public schools, their teachers take a critical, even skeptical attitude toward sacred claims. 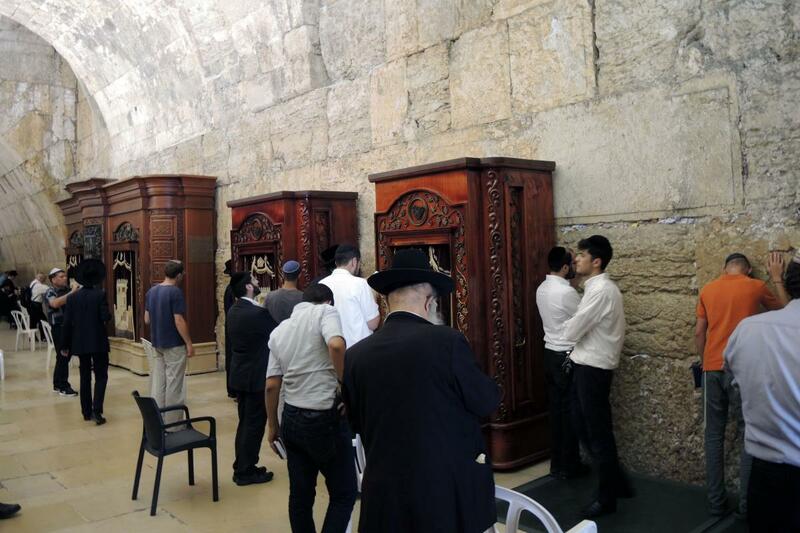 Jerusalem, by contrast, is quite conscious of itself as a Holy City, and Jews there tend to be much more observant in regards to traditional Jewish practice. The city essentially closes down on the Sabbath. 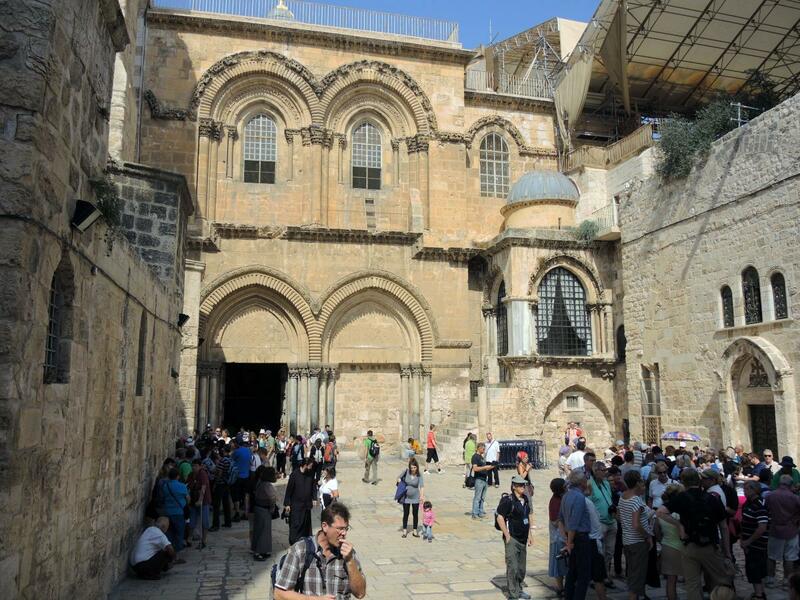 Its spiritual power is cemented by the presence of the Holy sites at the center, including the Via Dolorosa, the Holy Sepulchre, the Wailing Wall, the Temple Mount and the Dome of the Rock. In Jerusalem, Catholic clergy outnumber the Hebrew-speaking Catholic community, though the great majority of those priests do not work directly with the Hebrew speaking Catholics. 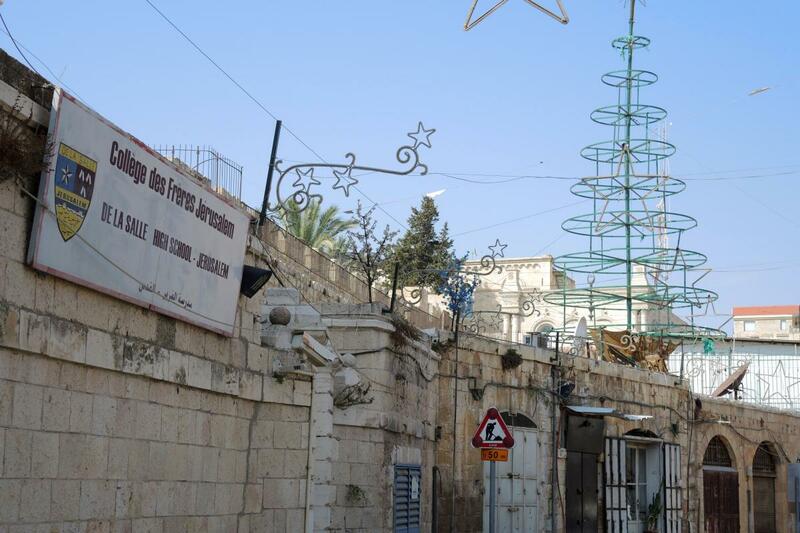 Likewise, the number of religious pilgrims is huge, as it is in Bethlehem at Christmas. 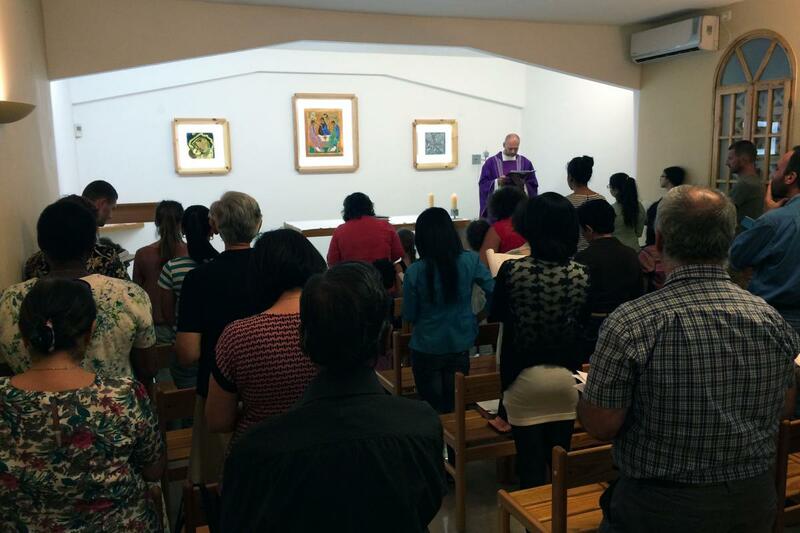 The Catholic community worships in a chapel in a beautiful, converted stone house that serves multiple purposes, but because of the presence of many religious communities, there are many sites available for worship, both inside the old city and outside. At Beer Sheba, a modest university city in the desert south, one kehilla serves Hebrew-speaking permanent residents of the city, migrant Catholics (primarily students) from all over the globe, and Arab Christian families, some of whom have migrated from the north but who lack their own church community. Very few are converts. 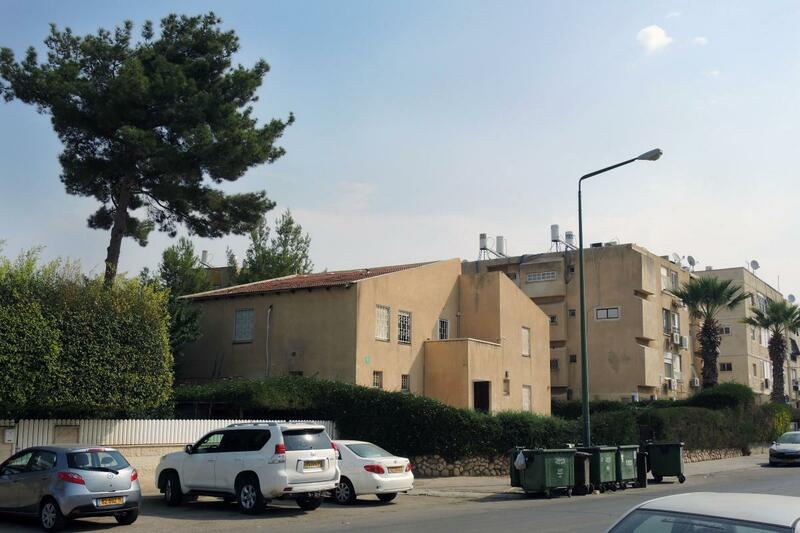 The building itself, like most synagogues in Israel, looks more like a house than a dedicated religious building and doesn’t stand out in any way in the neighborhood. Because it is the only Christian church in town, Orthodox Christians often attend. 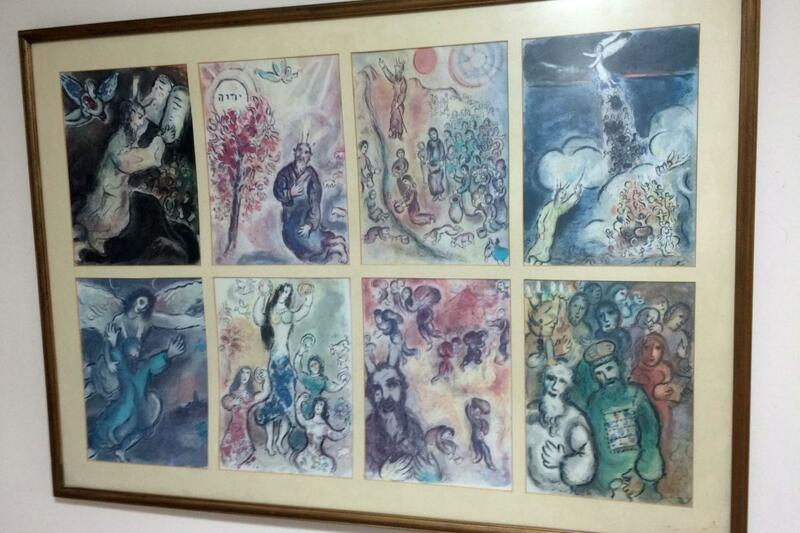 There is also a messianic Jewish center in town, part of a movement of Jews who embrace Evangelical Christianity. Some kehilla members go to both, but Catholic clergy and some laity seem to be wary of the movement, which is much more aggressive in its evangelization of Jews. Mass at the Beer Sheba kehilla draws about 40 people on a given Sunday. Twice a month a bigger crowd of Syro-Malabar Catholics from India worships on Friday. After Sunday night Mass, a Polish interviewee spoke of how impressed he was by the quality of community and commitment in this small church. “Here is where I came and found community” whereas in Poland he found churches were big and packed but said that people did not know one another. After Mass, worshippers tend to stay on. During the visit for this research, they celebrated children’s birthdays with cake in a kitchen sitting area and backyard. The Hebrew-speaking Catholic community is in many ways as cosmopolitan as Israel itself — the Beer Sheba community is said to be the only one whose membership is majority Israel-born — but is definitely not a globalized community lacking any particular cultural grounding. 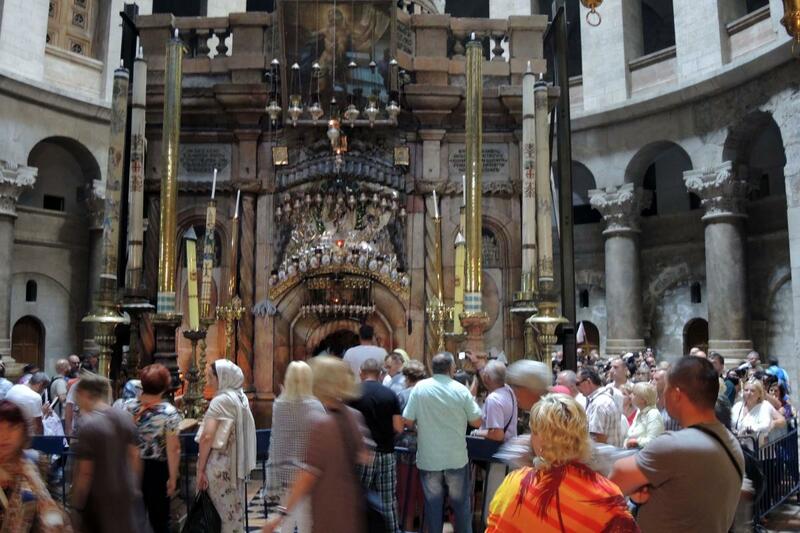 Israeli Catholics are from many different places, typically having “become” Israelis. French and Italian believers originally made up the largest proportion of believers, alongside Poles, Germans and other central Europeans. Unlike Israel as a whole, there are very few American-born members of the community. Due to migration, the largest part of the Hebrew-speaking community today is from the former Soviet bloc, comprised of persons with Jewish family background or relatives who made Aliyah. A modest number of Russians were allowed out of the Soviet Union in the decades before it collapsed, but since then one million migrated. A number of these, while having a Jewish grandparent, identify religiously as Christian. Interviewees for this research indicated that they had experienced times when Israelis were hostile, or indifferent, or generous in their attitudes toward Christians. Though — or perhaps because — religion is more important in Jerusalem, a number of interviewees in Tel Aviv suggested that they found secular Tel Aviv to be much more hospitable to Christians than highly observant Jerusalem. Yet the Catholic communities in both secular Tel Aviv and Beersheba, and in more observant Jerusalem have experienced the same major problem. 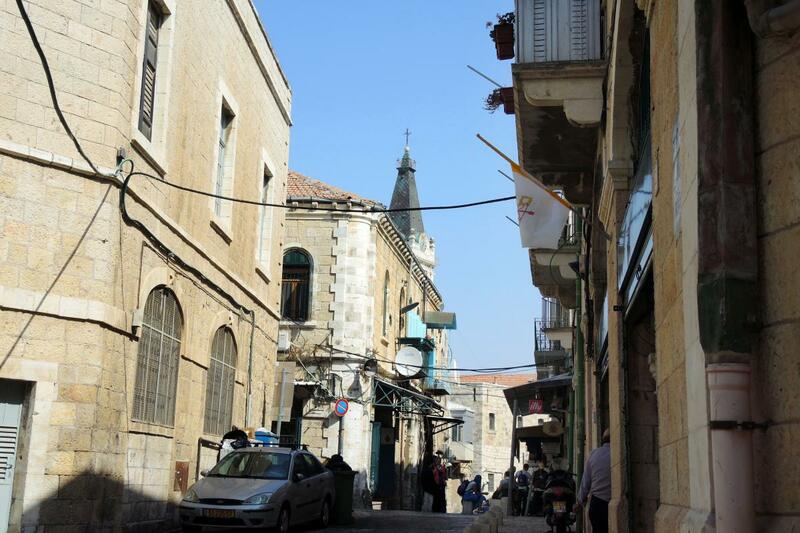 For several generations now, whether in secular or observant contexts, as the children of kehillot members have moved into adulthood, they are absorbed into the larger Jewish society. “This is a community has had to reinvent itself in every generation,” a community leader said. “Over and over again, its young people become secularized, or sometimes convert when they marry, or disappear into larger society. Many of these next generation have had a deeply committed Catholic parent or parents.” With their parents, they may show up at Mass on a couple of holidays, but they don’t have a real commitment or link of their own. The Church does put significant effort into educating and forming young people, and has youth groups and summer camps. Its very purpose is to avoid becoming a ghettoized, separatist community, but to find its mission in a Jewish context. Hence, when it comes to faith, most of the members identify as “both/and” rather than “either/or.” Some interviewees suggested that this “both/and” was often lived too “uncritically,” but even if taken more thoughtfully, that “both/and” creates a built-in tension. The community wants to have the deepest respect for Judaism, but also wants to see its members live out a lively Christian faith. The community’s original purpose was to assimilate Catholicism into the Jewish milieu in a non-dominant or non-supercessionist way, but the tension is that this does not give Catholicism a very distinctive reason for being. There are members who are born Jewish and who have been baptized, but the clergy are very cautious about baptizing and evangelization aimed at conversion, even as they are ready to claim the centrality of Jesus and the Church in their lives. 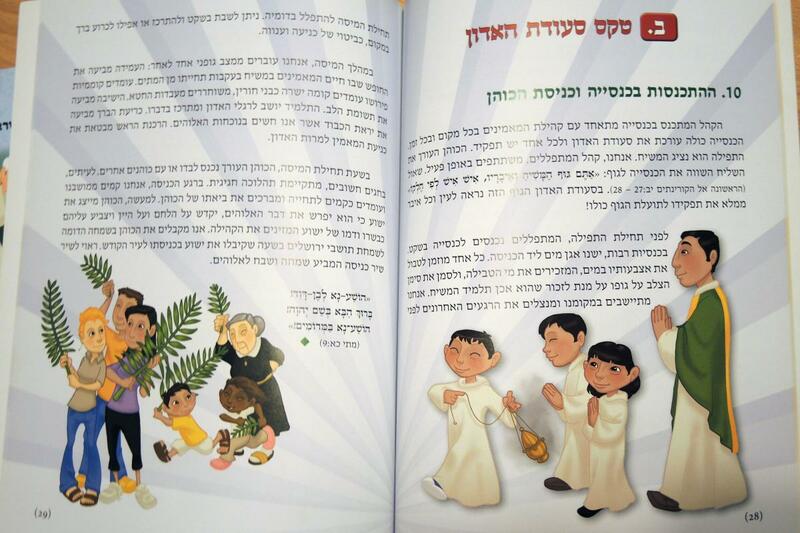 Almost none of the children in the Hebrew-speaking community goes to Catholic schools, which primarily serve the Arab Catholic community. 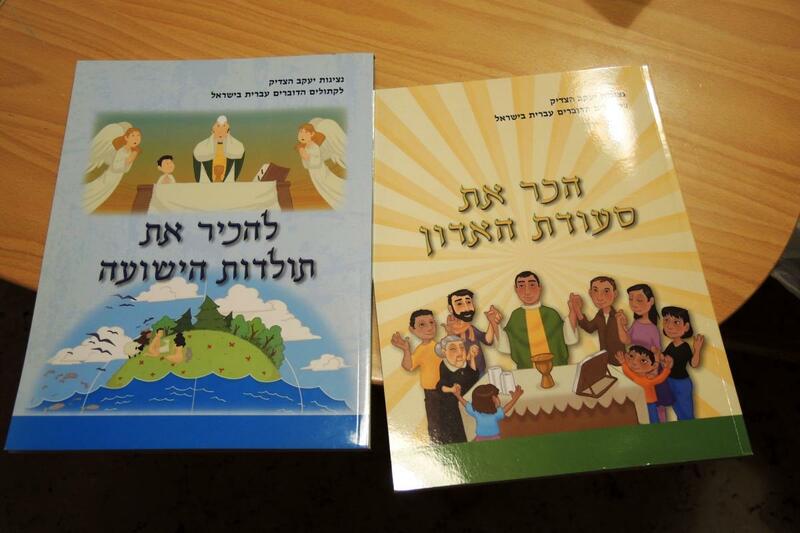 Schools in Israel teach children about the Hebrew Bible and religious history, but whether they do so from a faith perspective or an agnostic one seems to have little direct effect on Catholic children’s likelihood to be practicing Catholic adults. Children and teens celebrate holidays like Purim with friends and often describe themselves as Jewish, which many are, by heritage. Given the demographic realities and their experience growing up in Jewish society, it is almost inevitable that many or most young Catholics would marry into Jewish families. In a community determined to respect Judaism and Jewish identity, the loss of successive generations obviously poses a challenge. Because of migration, the community has reinvigorated itself repeatedly, but the problem of generational attrition worries many members, even as they love and appreciate the Jewish community that they choose to live in. 1. Halakhic law designates only the children of Jewish mothers as Jewish. 2. Rev. David Neuhaus, S.J. Sixty Years - A Pastoral Letter. It bears noting that the Hebrew-speaking Catholic community is not the same as the Association of Hebrew Catholics, an American-based organization. 3. This article is based on interviews with lay Catholics and clergy in Tel Aviv and Jaffa, Jerusalem and Beer Sheba in October 2015. The author especially thanks Fr. David Neuhaus, S.J., Patriarchal Vicar for Hebrew speaking Catholics, for his generosity and assistance opening doors in these communities. Fr. Neuhaus provided the counts for Catholics in the community, and a great deal of other helpful information. 4. Vatican recognition has come in stages: on an experimental basis from the beginning, then in 1990 under Pope John Paul II, recognition as a distinct vicariate under the Latin Patriarch. Statutes for the vicariate were issued in 2012. 5. The designation “convert,” and the decision by Jews to become Christian, is at times extraordinarily controversial in an Israeli context. One interviewee, born to a Jewish family largely killed in the Shoah, and who narrowly escaped that fate himself, rejected the term “convert,” insisting that he is still a Jew and always will be, even having become a Catholic. Many Jews say, quite to the contrary, that it is not possible to be both a Jew and a Christian. Particularly in the context of centuries of persecution, some Jews have publicly chastised Catholic converts for betraying their people. 6. The website of the Vicariate of St. James, the ecclesial entity of the Hebrew-speaking Catholic community, contains a number of accounts of these early founders, though mostly its clergy and Religious. Other accounts were shared by interviewees during research for this project in October 2015.